Our star vinyl for this season, which is sure to be much talked about. The vinyl with the most revolutionary and innovative design in the collection. It comes in the shape of a small Sandeel, with dorsal and caudal fins, a ribbed body and a paddle tail providing vibrations, rolling and an extraordinarily lifelike movement. However, this is not the most innovative feature that sets this vinyl apart from the rest. What’s inside a fish? bones and innards. 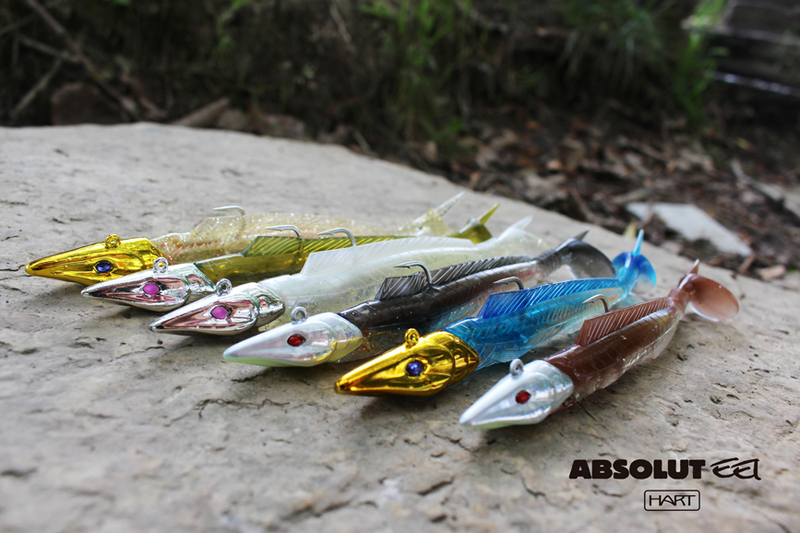 This is just what our Absolut Eel has, namely a high-density vinyl injected bone, to provide strength, and a high gloss internal strip to simulate the eel’s innards. Fish eat fish, and our new Absolute Eel is, and behaves like a fish ... Rigged with the new jig head, which looks more like a beautiful piece of precious metalwork, this is the ideal vinyl for tackling sea bass. It’s sure to make a good impression on you!